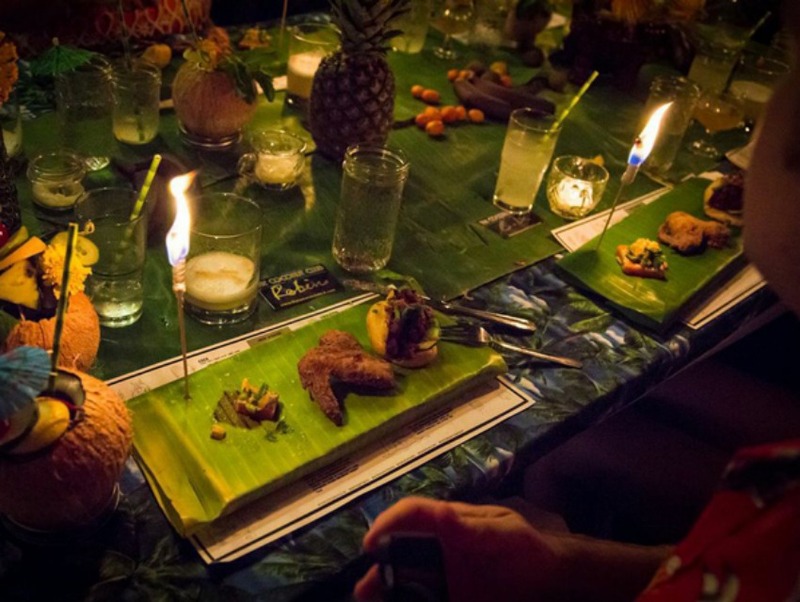 The Coconut Club, L.A.’s only underground tiki supper club, had a few test runs earlier this year to great success, and a lot of flair. The event is back and taking over a rooftop terrace in Downtown’s historic core for three nights only in early September. The Coconut Club is a collaboration between chef Andy Windak, cocktailians Nathan Hazard and Elana Lepkowski, and emcee Darren Herczeg. I chatted with Andy and Nathan about how they met, the inspiration for The Coconut Club and some of their favorite dishes and drinks being served. How did everyone involved first meet? What was your motivation for starting the supper club? How does the role of emcee play out during the evening? What dish or drink from the upcoming dinners are you most excited about? 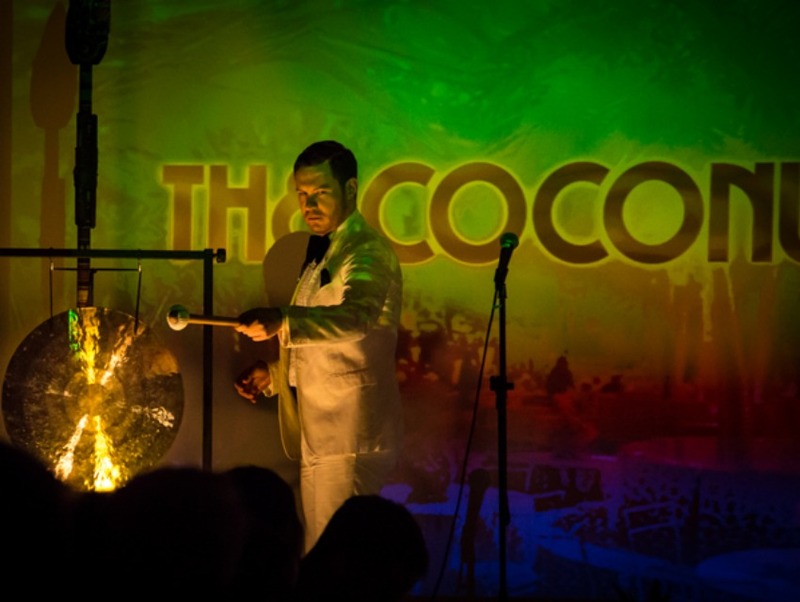 For fans of tiki, The Coconut Club will surely be a night of whimsy and indulgence. The food and drink are inspired by Tiki classics and Polynesian cuisine, all with a new California twist. Expect rum cocktails in coconuts, drinks with unexpected spirits like pisco and Campari, personal Pu Pu platters with tiny tiki torches and flaming rum-spiked chocolate volcano cakes. There’s only one seating and 25 seats per night, so jump on it folks! Event details and tickets can be found here. And if you want to bring a little tiki into your life and home bar, here is a recipe for Nathan Hazard and Elana Lepkowski‘s riff on a Ti’Punch, which is served during cocktail hour at The Coconut Club.